The Mango is one of the oldest cultivated fruit crops, having been grown in India for at least 4000 years. Mango is the most important fruit crop of Asia and its annual production is exceeded worldwide only by Musa, citrus, grapes and apples. The last decade has seen a rapid growth of mango production, mainly due to expansion into new growing regions but also to the adoption of modern field practices and cultivars. A wide range of fresh, mango cultivars are now consumed worldwide and are available year round. 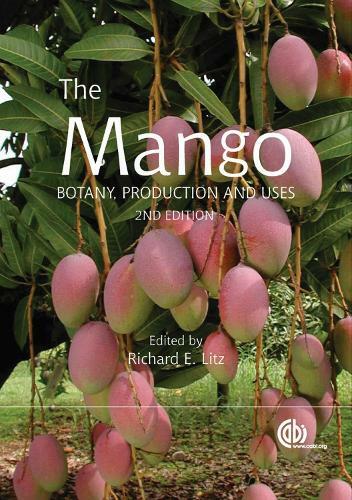 The Mango: Botany, Production and Uses, published in 1997, represented the first comprehensive examination of all aspects of modern mango production and research. Developing upon the successful first edition, this book incorporates a discussion of significant advances in mango research that have contributed to improved production and will be highly relevant for researchers and growers alike.